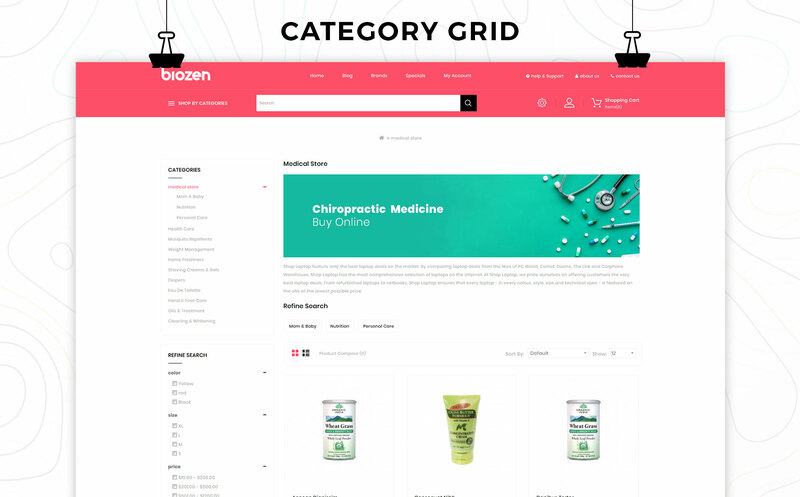 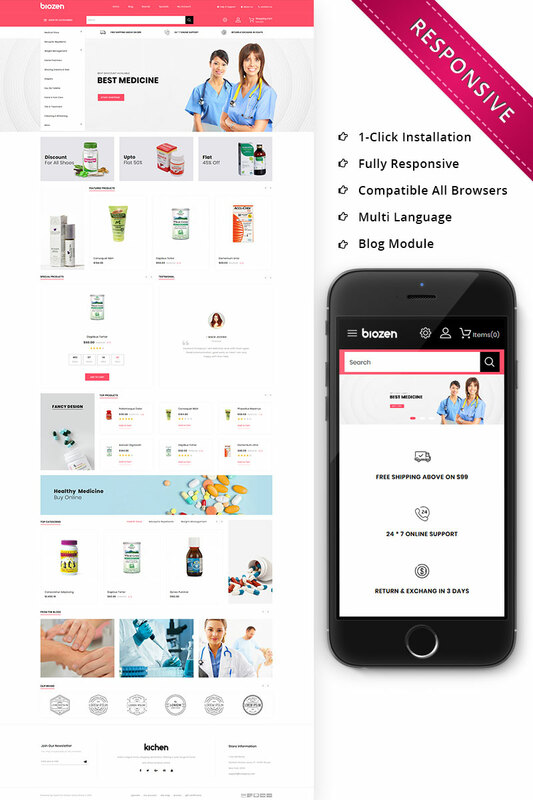 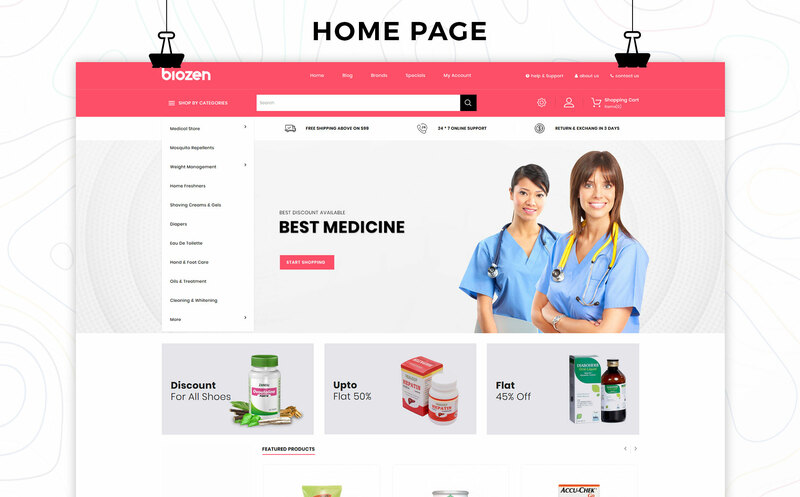 Biozen Responsive Opencart Template is specially designed for medical, drugs, doctor, dentist, hospital, pharmacy, surgeon, clothes, medicine, megastore, minimal and multipurpose stores. 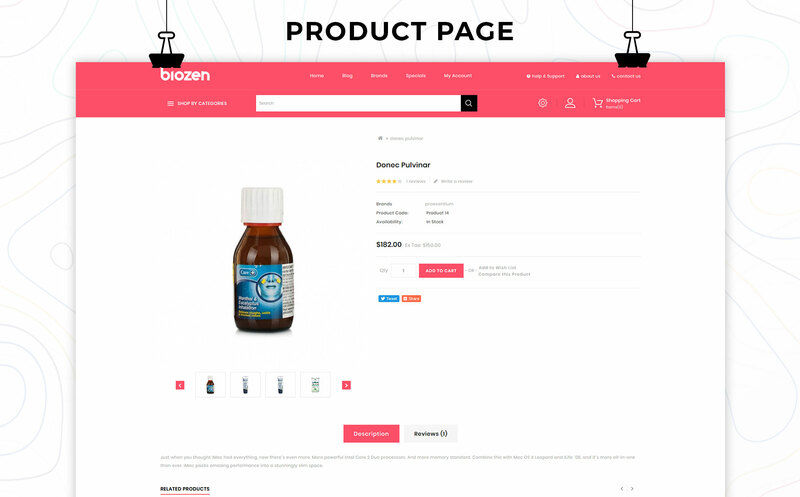 Biozen has features like filtering products by price, manufacturer, size, color and has related products slider on Product detail page. 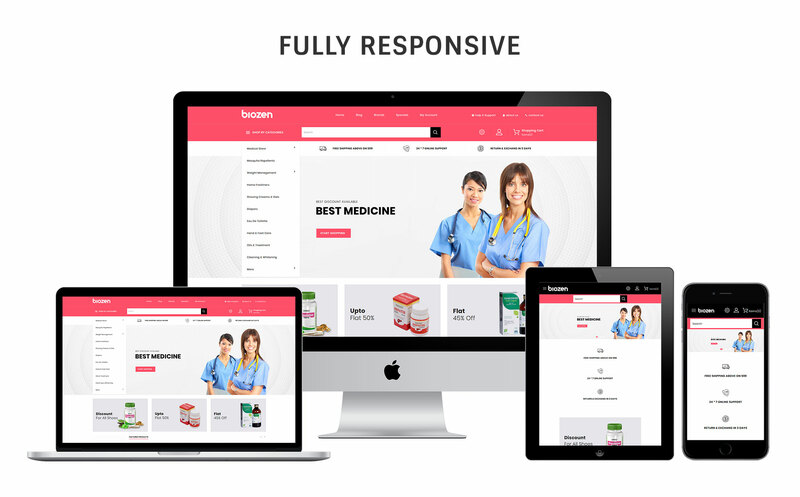 It is very user friendly and 100% responsive.